Matched content units allow publishers to suggest further content that might interest the reader, based on what they have looked at already. This means that someone on a sports site reading an article about football can have further football content suggested to them. This can result in an increase in pageviews and time spent on the site. AdSense users who are eligible to use matched content units for ads have an additional advantage as they are able to synchronize their ads by topic also. This means that someone on a sports site reading an article about football can be shown native-styled ads most likely to appeal to football fans. This in turn can potentially increase ad engagement and quality clicks on the ads. Private Auctions: Negotiated minimum price. Invitation only auctions. Non-guaranteed volumes. Preferred Deals: Fixed price. One-to-one deals. Non-guaranteed volumes. Guaranteed Deals: Fixed price. One-to-one deals. Guaranteed volumes. The technology combines the power of real-time bidding (RTB) infrastructure with access to brand safe, reserved publisher inventory. This shortens the time it takes to book and execute high quality reservations type deals. Using this tool, you can lock in revenue through reservations, forecast against programmatic deals, and enjoy the ease of automated billing and collections. All that without the need to email tags, worry about creative controls, resolve discrepancies, or fax orders back and forth. Check out this story from Televisa and Unilever to see how it could work for your business. You no longer have to make a choice between selling your inventory programmatically or direct. Modern ad management tools like DoubleClick for Publishers make it very easy to do both at the same time, with less coding and manual work. They also give you a clear picture of your inventory availability in real-time, so you are less likely to make conflicted bookings or leave inventory unsold. See how German media company G&J doubled their programmatic revenue and increased their mobile revenue 10x with a smart implementation of Doubleclick for Publishers and Doubleclick AdExchange. Or, if you’re already using DoubleClick for Publishers, watch this video from The Economist who integrated DoubleClick for Publishers with DoubleClick Bid Manager, surpassing all their revenue and growth goals for the campaign. We want to help you get the right tools in place so you’re set up for success and potential ad earnings growth. To check whether your setup that suits your plans for your site/s, have a conversation with one of our experts. They can offer a personalized consultation to help you make smart choices for your business. 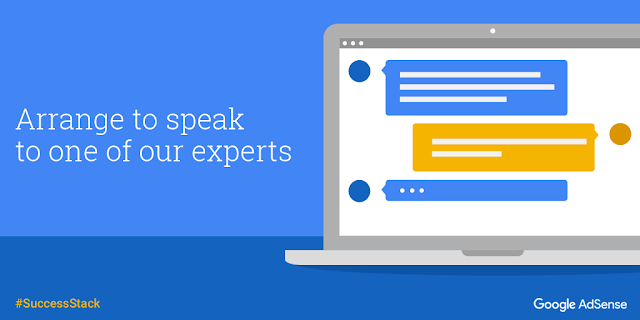 Book a time to speak with an expert. Forget what you think you know about programmatic advertising, these tools are game changers. For the ninth part of the #SuccessStack series, we’re revisiting the topic of programmatic advertising and looking at some of the latest technology that is starting to shape it. to the ongoing success of your publishing business. Now you can explore what you can do that could improve this metric and boost your overall page performance as a result. Before you put time and effort into improving your mobile speed, you want to see what it’s worth to you. This useful tool will help you make a personal calculation of how much more you could earn with a faster mobile experience. However, this tool does not calculate user experience or user loyalty, both of which are impacted by either a fast, or slow, mobile experience. Chrome DevTools is a versatile real-time tool for evaluating your website’s performance right in the browser. You can simulate network and CPU speeds, examine network loading details and see how your site’s code is impacting your page. Mobile-Friendly Test is designed specifically for mobile sites. This tool analyzes exactly how mobile-friendly the site is, and focuses on elements beyond speed as well. Step 3: Have a clear out - reduce the size of your pages. Reduce the size of your pages. Target 50 or fewer requests and 1,000 or fewer bytes to optimize load time. Compress and select efficient images, and prioritize download of visible content. Assess the ads and trackers running on your page. Use a tool to measure the bandwidth and latency impact of pixels and other elements on your pages (e.g., Ghostery). Evaluate if trackers are needed and used, and if they provide enough benefit. Review latency of your ad partners, especially those delivering video ads, and remove low performing monetization partners. It sounds obvious, but prioritizing loading of the elements that are visible above the fold will enhance your user experience, even of your net page loading speed doesn’t change. Limit server requests where possible: Each mobile page makes an average of 214 server requests,3 some of which happen simultaneously and some that can only happen one after the other. Review each request on your site to understand the benefit it provides. As the shift to mobile continues to grow, so will users expectations of lighting speed experiences across the web. This means that improving your mobile speed isn’t a one off job, you need to have a process in place to regularly evaluate and improve it. Follow the steps outlined above at regular intervals and record the results of the adjustments you make to refer back to when deciding on new optimization techniques in the future. Continually assess your ad-related calls to remove low performing monetization partners. Pick third-party ad-tech partners with lower latency. Remove or reduce any bulky content. Consolidate data and analytics tags. Investigate open-source tools such as Accelerated Mobile Pages (AMP) and Progressive Web Apps (PWA). Implementing the strategies outlined in this article could have a serious positive impact on your business. Check out these inspirational stories from Sinclair News and What to Expect to see how significant shifts in mobile speed were achieved with a few technical tweaks. From your interest in Page Speed, you’re clearly committed to doing all you can to improve the performance of your site and grow your publishing business. With this in mind, you may benefit from a chat with one of our experts. They can offer a personalized consultation to help you make the right technology choices to support your business growth. Book a time. The eighth installment of the #SuccessStack takes a second look at page speed, specifically tips you can implement that may improve your metrics. Last week the #SuccessStack illustrated lots of reasons why mobile Page Speed is critically important to the ongoing success of your publishing business. Now you can explore what you can do that could improve this metric and boost your overall page performance as a result.